Originally from Ohio, Julie’s one-of-a-kind, limited edition sculptures are tributes to her love of nature and motherhood. Julie uses a variety of materials in her work, including new and recycled metals, stone, glass, wood and found objects. 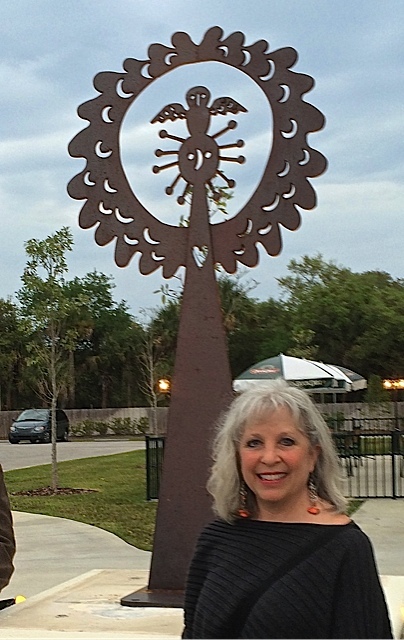 Her more recent sculptures are made with corten steel, also known as “weathering steel”.